The Carl George & Shirley L. Eklund Scholarship honors Carl George & Shirley L. Eklund who were high school sweethearts at MHS and wished to establish a legacy at the high school to benefit generations of students. This life-changing scholarship is awarded to a Morristown High School junior who plans to pursue a degree in teaching, preferably secondary education. It is a four-year scholarship and the amount is determined at the discretion of the MEF/MHS Eklund Scholarship Committee. The intention is for the financial award to be “life-changing” for the student recipient. 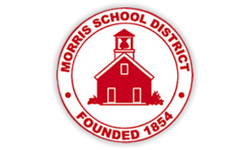 The Morris Educational Foundation is able to provide this scholarship through The Eklund Scholarship Fund which was established as a bequest from Carol George & Shirley L. Eklund. This scholarship will be open to all juniors who intend to major in education and will be chosen based on financial need and merit. The scholarship must be used to pay tuition and/or college-related expenses at an accredited college or university. Demonstrate financial need (If awarded this scholarship, the student must complete the FAFSA form (Free Application for Federal Student Aid) and provide a copy of the Student Aid Report (SAR) reporting EFC (Estimated Financial Contribution) to the committee during senior year). Explain the importance of selecting an Education major in college, your educational area of interest (i.e. preschool, elementary, middle, high school) and why/how did you come to make this decision? 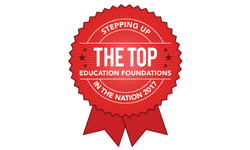 How will this scholarship help you achieve your goal of becoming a teacher? Why should you be chosen as the recipient of this prestigious award? Tell us your story. Provide one letter of recommendation from a guidance counselor, teacher/faculty member, coach, activity sponsor, or employer that addresses why this student should be chosen for this scholarship. If awarded the scholarship, the student must submit an updated transcript and a copy of the first semester report card.